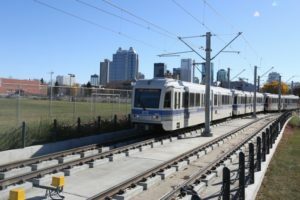 The spin-off problems for Edmonton’s ongoing issues with the Metro Line are now starting to be seen. Since the line isn’t running as planned, the City’s working on legally extricating itself from the contract, which puts us into deadline #734 (approximately) and now we know Plan B won’t be free either. Bombardier is promising Edmonton’s LRT cars for the new Valley Line southeast won’t be delayed, even as the company struggles to get it right with streetcars for Toronto. Also, the consortium building Edmonton’s southeast LRT extension is running behind, but still thinks it can finish on time in 2020. You can check out what the new LRT cars will look like at Bonnie Doon mall this weekend. The City is looking at expanding use of a salting agent to help keep snow off roads in winter, after some positive results last winter. There are considerations about damage it could cause to concrete (and rusting of vehicles). It’s not surprising, but it is being proven in research that our expanding bike lanes are doing good things for people moving around the city. Also not surprising to see that the most and biggest election donations for city council races came from developers, corporations and unions. You can still fill out a provincial survey about whether or not this kind of thing should stop. She picked up the role of city manager after the City tossed the last guy because of the Metro Line (among other issues) and now city council has decided to stick with Linda Cochrane for a little longer. Even though she’s got major issues to tackle, including workplace harassment and, still, the Metro Line. Parkland County is cutting millions from its budget because of coal-phaseout, which is still in its early stages. It does appear to be pre-emptive since their taxation revenue remains the same this year from last. Bruderheim elected a new councillor, needing to hold a byelection after a newly-elected councillor died in the spring. Strathcona County council will determine if complaints against its own members require further examination. Pretty good deal, if you can get it. 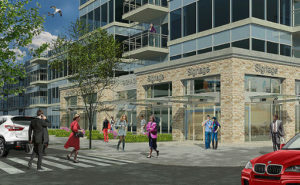 Seniors in one neighbourhood could have a “first right of refusal” on a new development. No idea if you need to live there a long time, or new neighbours could bid on the homes. I’m also not sure what will keep them from just speculating on the properties and flipping them for profit. This is an interesting one to watch. A challenge of a sprawling city is the cost to maintain areas annexed and built to different standards, or amalgamated without accounting for the eventual cost of servicing. This story focuses on jaywalking near the new funicular, but anyone familiar with this stretch of 100 Street knows it’s been unsafe for a long time, with plenty of illegal left turns and dangerous u-turns by the Hotel MacDonald. The first commercial infill in Chinatown in a longer time then anyone can recall is happening right now. A contentious proposal in Holyrood has been approved. There’s finally something happening at the old Camsell Hospital. Stony Plain is going to charge more for cannabis licenses than other business licenses. It may also ban all public smoking of cannabis. St. Albert will treat its cannabis retail like liquor stores. Edmonton is still working on its rules around where you can smoke. Edmonton is going to ban shisha though. Regional transit is becoming more and more of a reality. Fort Saskatchewan’s new five-year plan is focused on its increasing population, where people will live and included an annexation proposal. Leduc County and the City of Leduc won’t be combining their fire departments, but they will continue to have them work together. Morinville and Sturgeon County are thinking about broadband internet, as is the provincial government. Edmonton may back St. Albert on a new sports and rec facility. St. Albert and Sturgeon County are also looking to work together on recreation. After some initial fanfare, some in the music community have questions about how Station on Jasper, the venue which has replaced The Needle, has characterized its connection to at least one owner of the former venue, which closed after sexual assault and harassment allegations. Remedy is a great local chain and the owner always seems to be doing the right things, now working to buy more local and Canadian in the wake of U.S. tariffs. Also keep these tariffs in mind when people complain about minimum wage or the carbon tax raising the costs of their businesses, it’s always way more than one or two things. Just like Victoria Golf Course lost a local restaurant to a large corporate food company, so too does Filistix find itself out of the U of A thanks to a large corporate food company. I have yet to actually eat any convenience store fried chicken, but I know this is a big deal to some people. I wasn’t sure if this was more business or media news, so it’ll lead this section, sitting on the fence of the two. Alberta Venture, the longtime business publication has returned to the Internet with a new owner. Not the best July over at the Edmonton Journal. They were called out – by op-ed of course – on including the criminal record of someone who died tragically in a story about their death. The two items remain disconnected. The newspaper also doubled-down on this classism on Twitter without ever proving how the details “could help illustrate why [the deceased] was there”. This is the reply to questions about why the Journal felt it necessary to include a long paragraph of past criminal charges of an Indigenous man who was crushed in a recycling bin. The paper also tried to present itself as standing up to conservative politicians and those who would twist a provincial review of the education curriculum into fears of social justice indoctrination for our children. The editors writing that article, however, left out the part about their own writer’s work whipping up the frenzy. They also left out the fact they are the group responsible for that other writer’s words finding an audience every week. Another op-ed to counter the questionable content, and the education minister even got into it, even releasing the latest draft documents early. Please let me know if you find the secret communist manifesto in potential topics for grade 4 students learning Alberta history. The biggest issue here? It combines the worst kinds of bothsideism we see in stories with the use of a secondary story or item to counter something off-base or incorrect published by the same newsroom. This practice essentially removes the need to get things right the first time. This kind of journalism doesn’t serve the community. Cam Tait is turning the focus of his column in the Edmonton Sun to disability issues. It will be great to see regular coverage of disability issues in Edmonton. 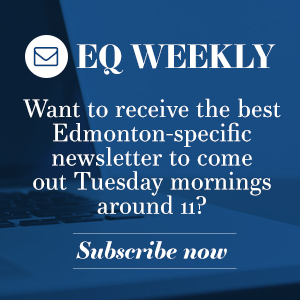 Taproot Edmonton is launching newsletters about local topics. 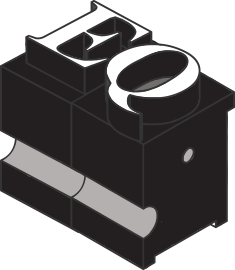 Very similar to this post you’re reading right now, they curate stories, with a tech roundup that’s been going for a bit, a just-added music newsletter and soon-to-launch Fringe Festival email. There will also be a media newsletter which I’m guessing will put co-founder Mack Male’s Media Monday Edmonton update into email form (you know I’ll be subscribing). At last check, you could sign up for two newsletters for free, but could get all of them if you’re a Taproot member. Are Edmonton Police silencing conversations about domestic violence, when they refuse to release the names of people involved in homicides, a number of which involve partners? The Star is launching a new paywall system. You can still read five articles for free right now without registering (or more, if you happen to clear your browser cookies). It’s not clear when the paywall really goes into effect and if it indeed will totally lock down stories. If the paper continues to be a free daily, I don’t think a hard paywall will make sense, but The Star has way more money than me, so what do I know? It’s never ever clear what’s going on when it comes to Northlands, which will now keep running horse races while the Metro Region’s new track tries to finish construction. And this is year one of five in a new contract for K-Days, but who knows what happens after that. Another inmate has died at the Remand Centre, making it beyond time for an investigation into the facility. There are more questions about the man who is the most recent to have died. He died amidst a series of overdoses. That’s been followed by challenges getting guards to look for more drugs and a hunger strike by inmates. 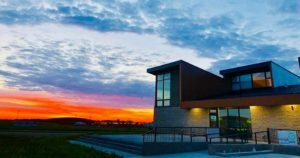 Strathcona County’s first mosque is now open. Stony Plain hosted its first Pride. Epcor is not winning over anyone in Gold Bar right now. The head of a Francophone newcomer centre is now out, after sexual harassment and toxic workplace allegations. Students living at the University of Alberta are getting full tenant’s rights. Some will be living in new Lister Hall residences named for Thelma Chalifoux and Cree word for willow. Families will soon be out of home on the U of A campus though. Greyhound canceling service in western Canada will mean the end of a long ride across the prairies. And more men talking about themselves and their feelings with other men should be a very good thing.